Elaine Hancock (Olney, United States) on 21 January 2015 in Transportation. 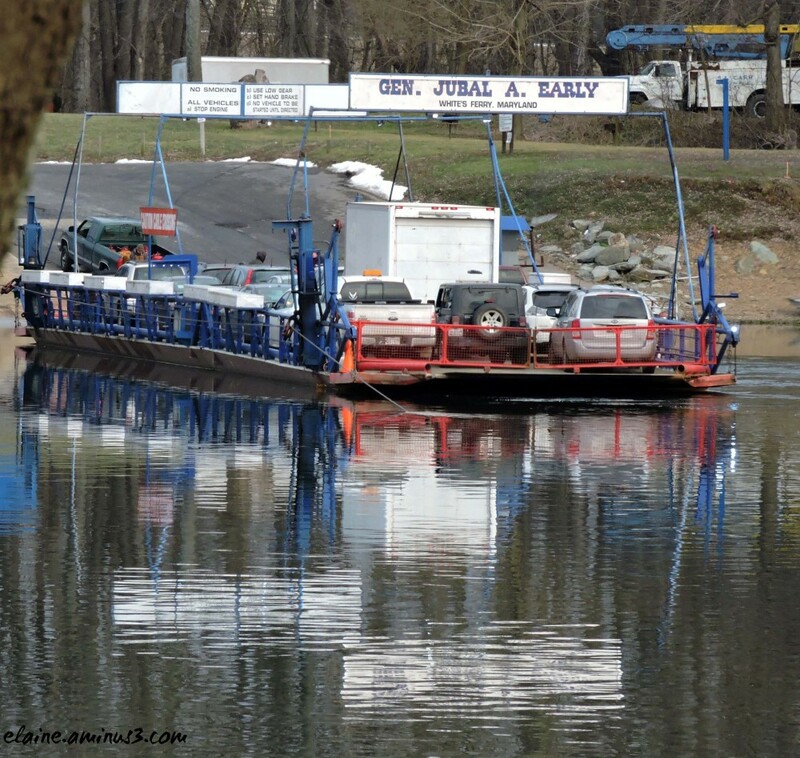 White's Ferry is the only cable ferry service that carries cars, bicycles, and pedestrians across the Potomac River. The ferry service started at this location in 1817. The Ferry can hold approximately 20-24 cars in a single trip. Here I am waiting on the Virginia side to cross over to the Maryland side of the Potomac River. Great to see it still in use. Some of the remote farms that can only be got to by water use barges like this to get stock out and supplies in.most are owned by the farmer. (NZ) nice image. I like how they set those rules out nice and clear . .
Magnifiques couleurs, lumière et reflets. Wonderful shot - we hardly ever see ferries in the modern world. Un très bel effet miroir! A wonderful capture with beautiful exposure. Love the reflections in the water. Aren't those old ferries fun? Went to school with a girl whose father was the "Ferry man." don´t see that sort of thing around here,great frame. Quelle vue de ce ferry avec les reflet superbe compo. The ferry is important for their lives. It has worked for people for alomst 200 years, hasn't it. That sounds amazing. Wonderful capture of the transportation with nice reflections. Nice reflections. Well done ! It's great that a ferry has been operating that long and is still in use. It would be quite a kick to take the ferry across. Fine shot of it was nice reflections. Splendid composition with the reflectiions . Gorgeous reflections. It is amazing these cable ferries still work! How fun is that? What's not to love about a ferry? You captured it beautifully! with beautiful colors & light! interesting to see, elaine, all those cars on the ferry! I guess it runs even in bad weather, but I wouldn't want to cross if it was wet or rough. Wow, very interesting to this ferry in operation!